Check the following local policy of the PC, is set to Not Configured. 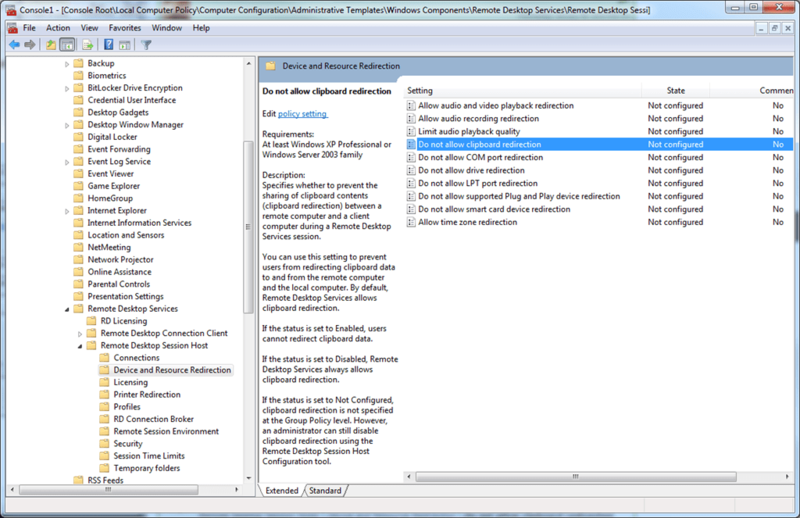 Computer Configuration Administrative Templates Windows Components Remote Desktop Services Remote Desktop Session Hosts Device and Resource Redirection Do not allow clipboard redirection. 4. Click Add, Finish and OK.